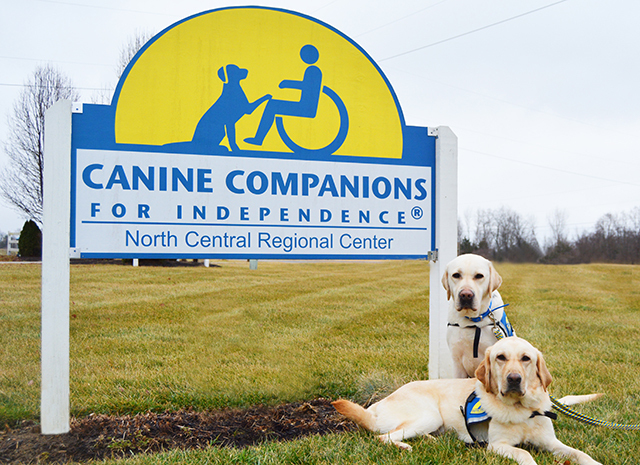 Canine Companions for Independence graduation ceremonies occur at least four times a year in the North Central Region. Graduation marks the end of a rigorous two-week Team Training program. During these two weeks, individuals are paired with a Canine Companions assistance dog and are taught how to work together as a team. The bond created between each individual and the dog they paired with is truly inspirational to all who get to witness their relationship. 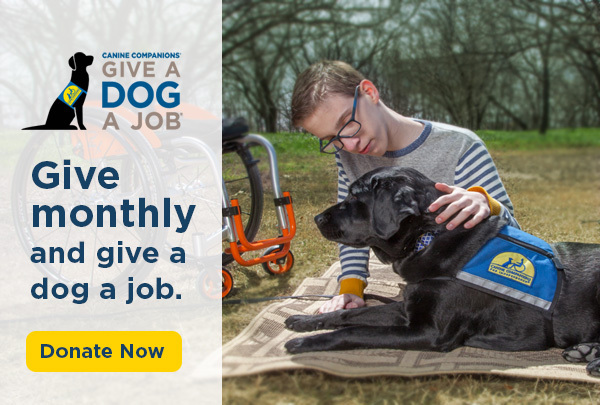 Canine Companions provides highly trained assistance dogs to children, adults and veterans with physical disability. Canine Companions assistance dogs can also be paired with a facilitator working in a health care, education or courtroom setting. We invite you to join us for a unique experience that will allow all in attendance to witness our mission first hand and experience the journey from puppy to assistance dog. 6300 E Dublin Granville Rd. Click here to RSVP to attend graduation. Congratulations to the February 2019 Graduating Class! If you have any questions please contact the North Central Regional Training Center at (740) 833-3700. Watch North Central Graduation Ceremonies Live! Click here to view past North Central Region graduation ceremonies.